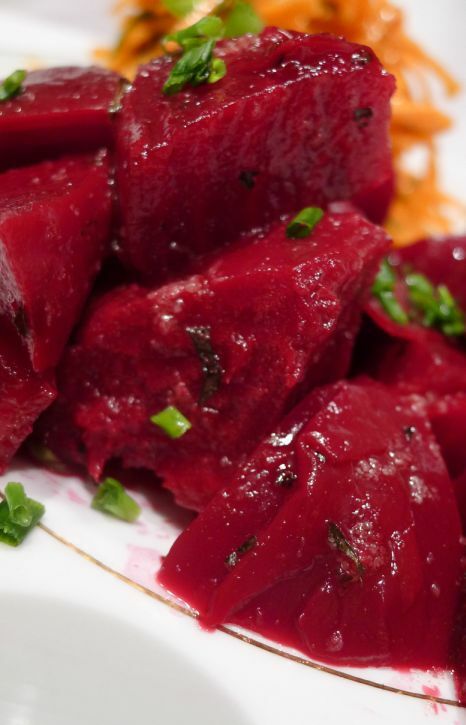 I simply love beet! To me they are the best vegetable and they are loaded with iron and vitamins. 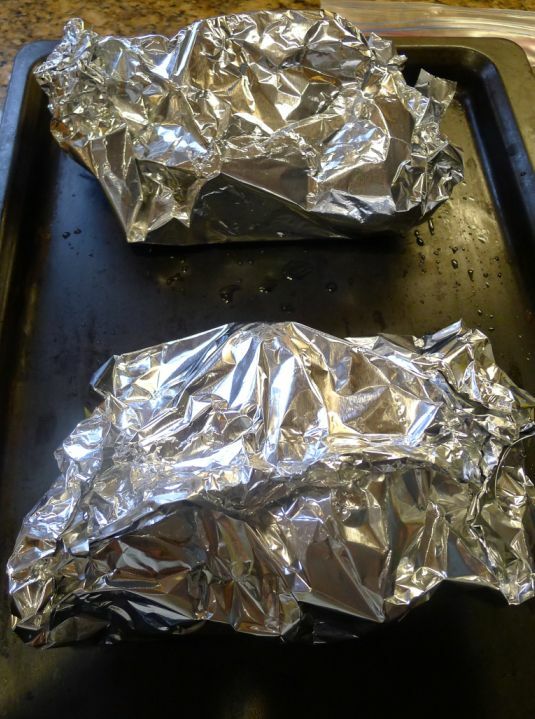 Once they are roasted they become so sweet. 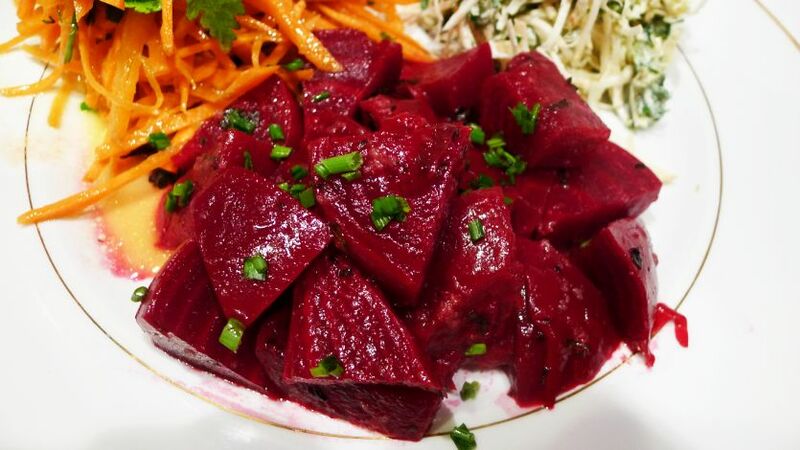 Here I served the roasted beet with a simply citrus vinaigrette prepared with fresh squeezed orange juice, a bit of olive oil, wine vinegar, salt and pepper and that's how simply it is dressed up with. 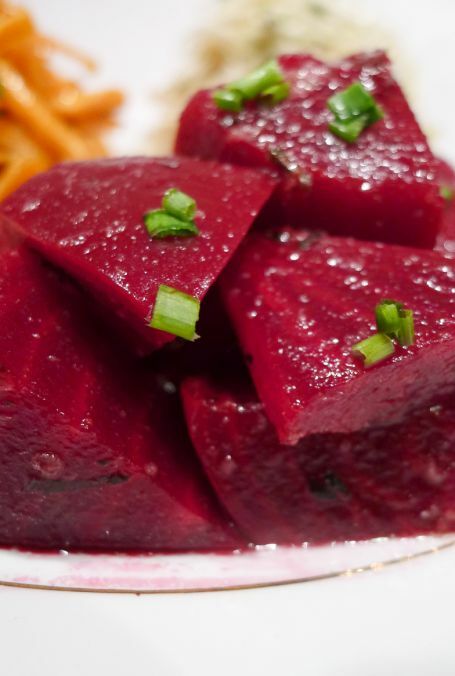 Actually I found that orange juice goes really well with roasted beet but make sure to marinate the beet at least a few hours ahead so that the flavors can develop to it full potential. I served the roasted beef with carotte râpée and celeriac rémoulade. 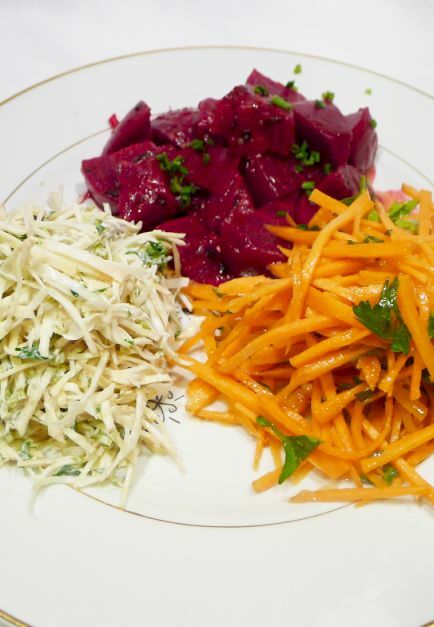 This salad trio is very popular in France and are available in a lot of Bistros. Make sure to buy your beets with their tops still attached which is an indication of their freshness. 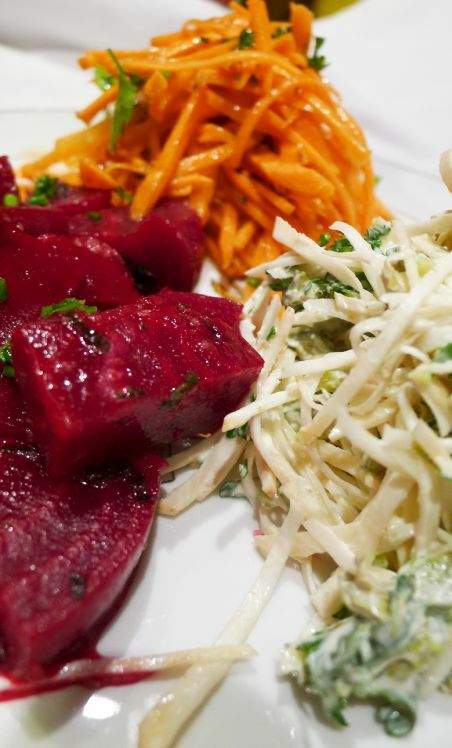 rub all the ingredients all over the beets. I had to separate them into two packages. 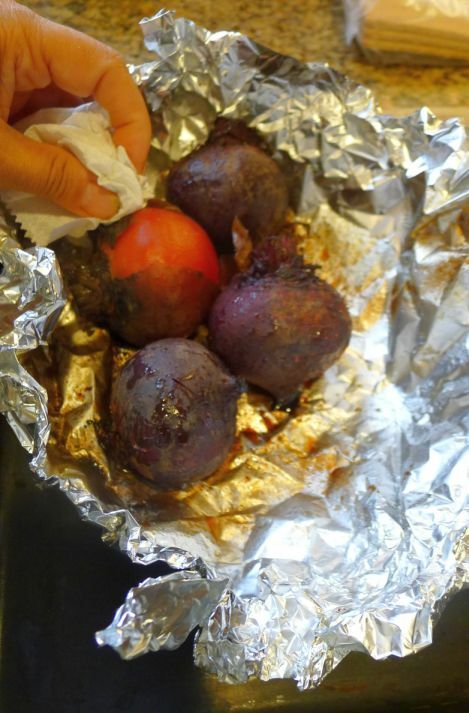 Fold the packages and roast for about 1 1/2 hours or until the beets are tender and offering no resistance when pierced with a knife. Carefully unwrap the beets and let stand until cool enough to handle. 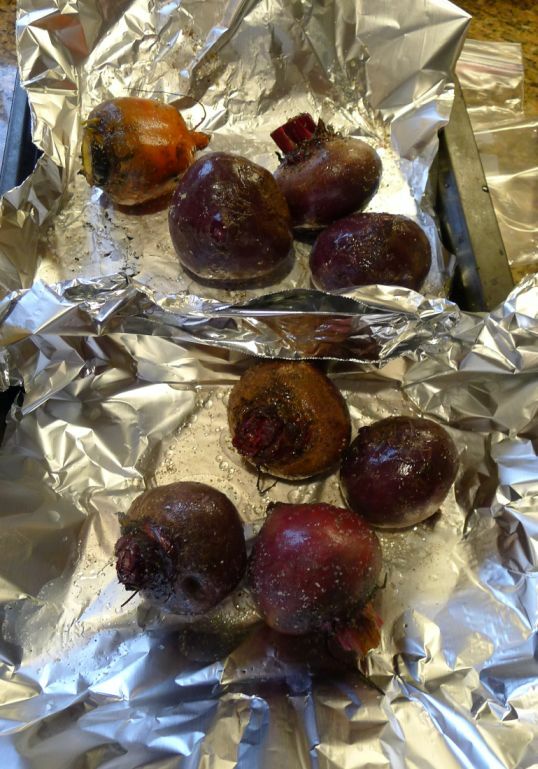 Rub each beet with a paper towel to remove the skin. Cut into quarters, then cut the quarters crosswise into 1/4 inch slices. 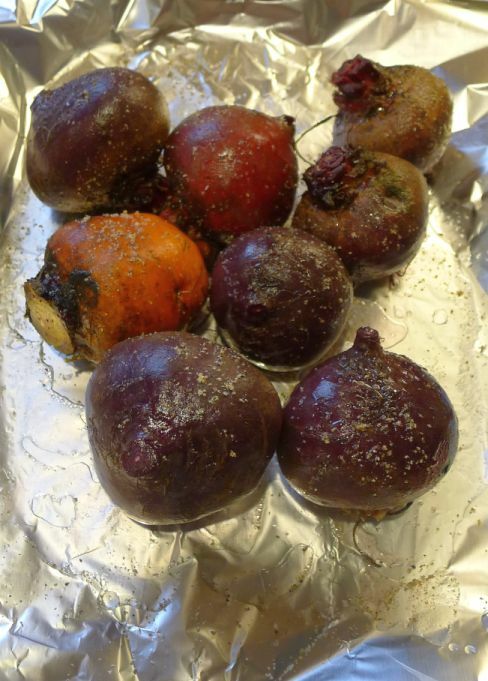 Season the beets lightly with salt and pepper. Prepare the vinaigrette by combining all the ingredients. 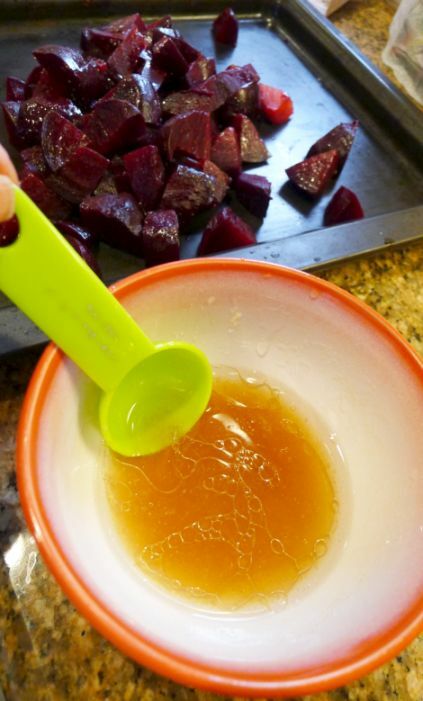 Pour the vinaigrette over the roasted beets and mix well. 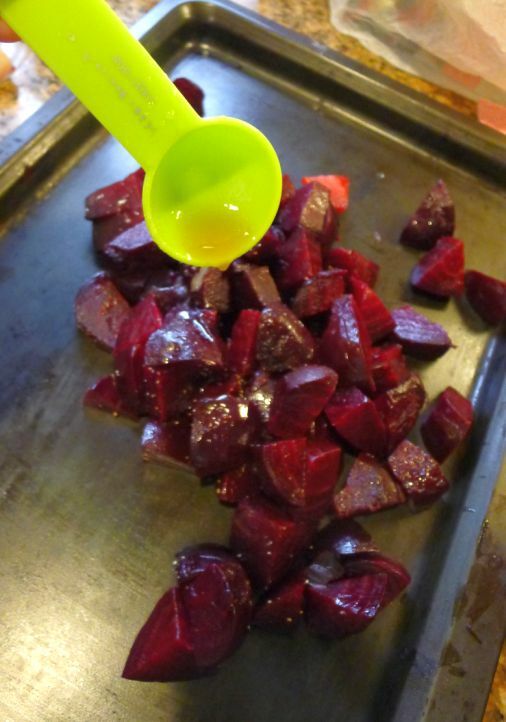 Put the beets into a bowl cover and refrigerate for a least a few hours or overnight. 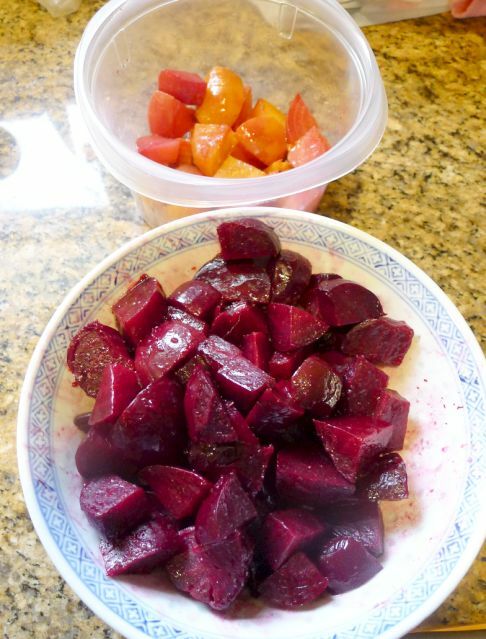 I had to kind of beets: dark reed and yellow beets. I separated them because the red beet will bleed in to the yellow beets.